Before I was pregnant with Amelie, I was relatively fit and healthy, and had lots of energy. I would go to yoga classes, pilates, I did flying trapeze for a few terms, and I ran LOTS. 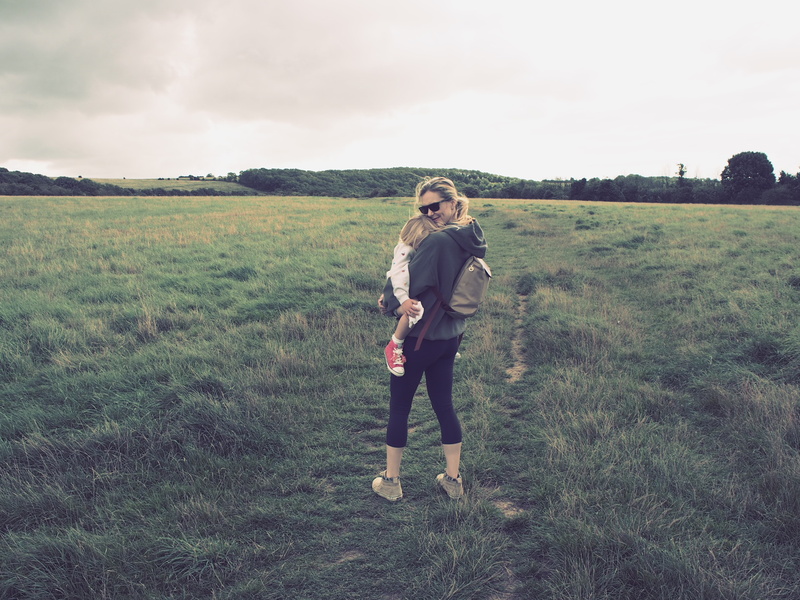 When I fell pregnant I was obviously intending to keep up my healthy lifestyle and had every intention of keeping my body strong and safe to house my little growing baby. 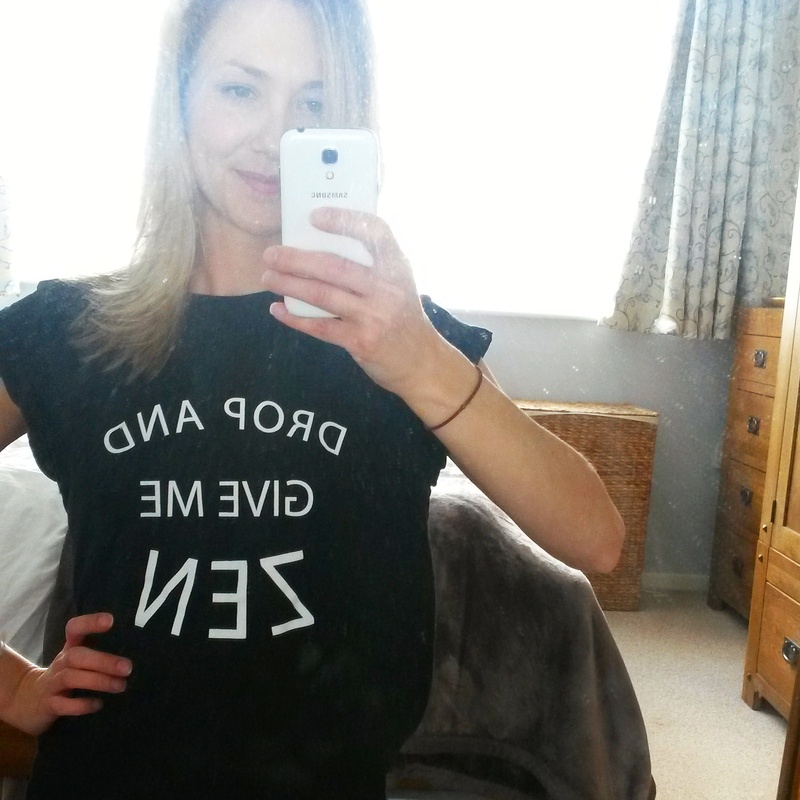 I signed myself up to a pregnancy yoga class but unfortunately pregnancy sickness and exhaustion took me right in to my second semester and by the time that all subsided – well, I just couldn’t be arsed! Nearly two years on since giving birth I really thought I deserved to give myself the time to do something I used to love. I practised a little at home on my mat but I wanted to find a class where I could leave motherhood, work and home-life at home and focus on myself for an hour or so. Because I no longer live in London I was apprehensive about finding a good class and teacher local to me. But, as my nearly two year old says “Ta-da!” I have managed to find a class that suits me. It’s at 8pm in our local community hall and is run by a lady called Leah Braknell (http://www.leahbracknellyoga.com/). Leah is an Actress and also a Yoga Teacher and I knew within 10 minutes of being in her class that her class was the right class for me. Leah created a very peaceful and relaxing atmosphere and within a few minutes I had forgotten about the list of jobs I still had to do and had stopped worrying whether Amelie had eaten enough of her dinner blah blah blah. During the hour and fifteen minutes I had worked incredibly hard but had managed to stay completely focused and also relaxed. I left the class feeling dreamy and achy and that night I literally slept like a baby. I returned and attended Leah’s class twice in one week!! I also ached for a couple of days afterwards, but a really satisfying ache. Before Amelie I never ever ached after a yoga class, I don’t know if it’s just simply because I am no where near as fit as I was before Amelie or whether I just connected with my breath and body better. Who knows. I’ve decided I will go and try out a few other local classes but in the meantime I’m just happy I’ve found a class and teacher that is right for me at this moment in time. I would highly recommend yoga, especially to someone with young children. It can be really hard as a parent to put in a little time for yourself and when you do you still end up thinking about everyone that needs you at home. When you get the right yoga class and teacher the health benefits are huge. Not only is it a fantastic form of exercise, it also helps combat stress and depression to name but a few. Before I became a parent going out running was definitely my go to stress buster, I would go in to a form of meditation whilst out pounding the streets of London. Since Amelie made an appearance I find running mentally quite hard, I tend to not be able to let go of everything that is going on in my head. Saying that – I encouraged everyone to find something that works for you. I know people that like going out walking on hikes with friends, people that do a few lengths at the pool in the evening and also people that like to lift weights. What ever floats your boat, I would just encourage people to stay active as the health benefits are huge! !